An Irish wake with food and beverages! Visitation will begin 1 hour prior. Champions House is a shared living community that provides young adults with physical challenges with the opportunity to live independently. 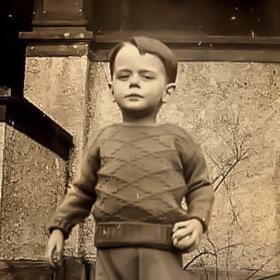 In 1929 James and Teresa (Gaynor) Carroll gave birth to James Joseph on April 3rd in Kalamazoo, Michigan. 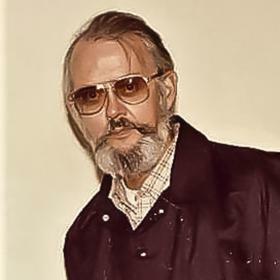 Raised in the family home on Elm Street, he was the only child of an accountant and homemaker. Jim attended St. Augustine’s schools. As he grew older his restless and adventurous spirit led him to hop freight trains headed for South Haven to spend the day at the beach. After graduating, Jim found a job as lineman with Michigan Bell Telephone Co. His restless spirit once again surfaced so he joined the Air Force. Jim was proud of his service during the Korean War. 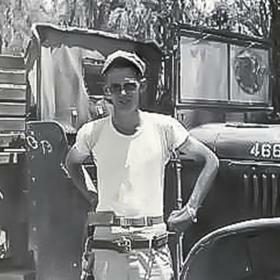 Upon his discharge from the Air Force, Jim hitchhiked back to Michigan from California where he resumed to his career with what he fondly referred to as “Ma Bell”. New and exciting changes were in store for Jim when he met the woman of his dreams. Her name was Margaret “Maggie” McGuire, and she was a nursing student from Nazareth College whom Jim met at a dance at the VFW Hall. After a short courtship the sweethearts were married on February 4, 1955, at St. Augustine Church. Together they welcomed seven children; Marie, David, Kevin, Theresa, Michelle, Patrick, and Jack into their hearts and home. Jim worked hard to provide for his family. He supported his children in their endeavors and enjoyed umpiring and referring at sporting events. The family looked forward to their yearly vacations. And some of their best family memories were made on those vacations, and it was amazing that on nearly every vacation Jim ran into someone he knew. Jim’s faith was an integral part of his life and he and his wife were charter members of St. Catherine of Siena Church in Portage. Over the years he helped out on many projects around the church, and in doing so was a part of its growth over the last 50 years. For several years Jim was an altar server for funerals. In addition to serving at his church, Jim spent 26 years volunteering at the Air Zoo. Besides Jim’s dedication to serving others he also enjoyed creating artwork by sculpting with brass and found objects. His artwork has become treasured family heirlooms. He was a self-proclaimed stubborn Irishman who reconnected with his extended family on his various trips to Ireland. With the sudden death of his beloved wife in 2009, Jim struggled to find a new purpose in life. He rededicated himself to his family and began attending more of his grandchildren’s events. His demeanor softened and as a result his soft-heartedness and gratefulness for others became more evident. Guided by an unwavering faith, Jim deeply loved his family and was proud of his ever-growing clan. Once again, his restless spirit led him on another adventure and in 2015 he sold his house which he shared with his wife of 54 years and moved into the Fountains at Bronson Place. 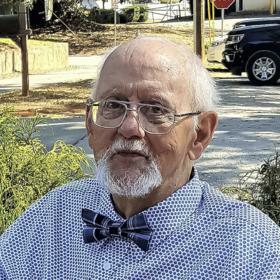 Even though he grumbled a bit in the beginning, Jim thrived at the Fountains and began transporting his neighbors to their doctor’s appointments and on their errands. As well as participating in “Happy Hour” on Friday evenings. As Jim aged his service in the Korean War became more and more important to him, so he was thrilled when in the Fall of 2017 he was given the opportunity to visit the Korean War Memorial in Washington D. C. with his son David through the Talons Out Honor Flight program. All who knew Jim would agree that there was no one quite like him. He strongly believed that integrity, honesty and hard work made you who you were and his crusty exterior protected the soft-hearted man who deeply believed in being of service to others. Deeply loved, he will be forever missed. James Joseph Carroll, a native of Kalamazoo passed away on Saturday, February 10, 2018. Jim’s family includes his seven children, Marie Medonis, David (Elaine) Carroll, Kevin (Donna) Carroll, Theresa (Jim) Dark, Michelle (Steve) Bosch, Patrick (Pavlina) Carroll and Jack Carroll; seventeen grandchildren, Rich Medonis, Miles Chisholm, Gabby and Tori Carroll, Zack and Tara Carroll, Ryan, Zoe and Abbie Carroll, Mike, Tim, John Dark and Judy (Dustin) Flint, Allie, Connor and Noah Bosch, Sebastian and Isabella Carroll; four great-grandchildren, Aidan, Brendan, Collin & Natalie Flint. Jim was preceded in death by his wife, Maggie. Please join us for an Irish wake celebrating Jim’s wonderful life on Thursday from 5-8 p.m. at the Betzler Life Story Funeral Home, 6080 Stadium Drive; Kalamazoo (269) 375-2900. Mass of Christian Burial will be held at 12 noon on Friday at St. Catherine of Siena Church, 1150 West Center Ave. Burial will Ft. Custer National Cemetery. 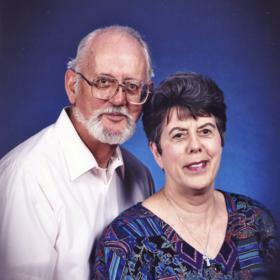 Please visit Jim’s personal web page at www.BetzlerFuneralHome.com, where you can archive a favorite memory or photo and sign his online guestbook before coming to the funeral home. Memorial donations may be made to the Air Zoo, St. Catherine of Sienna or the Champions Place. A shared living community that provides young adults with physical challenges with the opportunity to live independently.